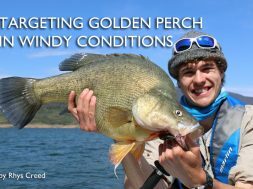 Tips, tricks and techniques for cracking the code of one of Australia’s most renowned golden perch fisheries. 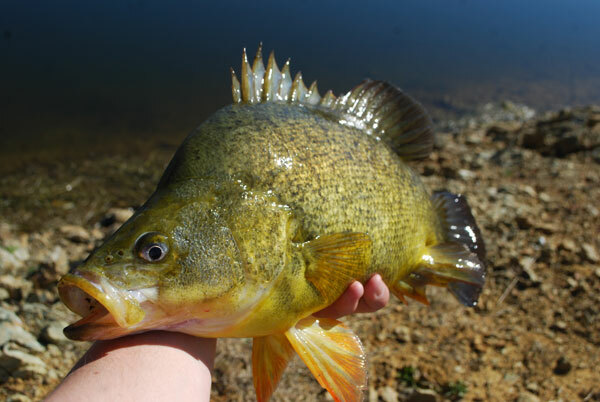 Golden perch (aka yellow belly or callop) are one of Australia’s most prominent and iconic freshwater species, plus they are a great fish to target. They are readily available year-round and yes, even in winter if the right mindset and techniques are applied. Windamere Dam located just south of the NSW country town of Mudgee, in my opinion would have the reputation as the premier trophy golden perch fishery. Its waters are typically clear year-round with visibility sometimes reaching down as far 10-12ft in places, with the exception of the occasional algal bloom occurring once or twice a year in the warmer months. 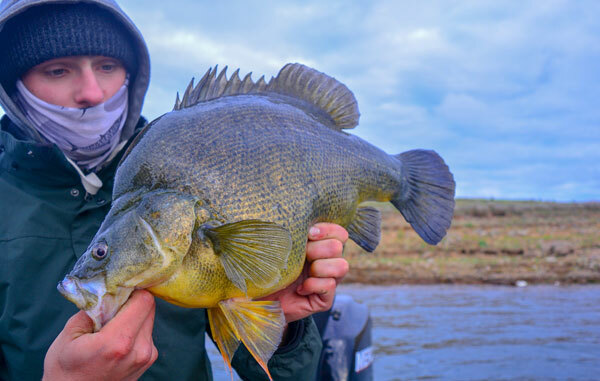 The golden perch in this dam regularly exceed the 60cm mark with some even getting up to around 65cm, specimens of this size are typically between 8-14lb depending on the condition they are in. With a diet rich with freshwater yabbies, baitfish and freshwater shrimp its no wonder they are capable of getting to this size. 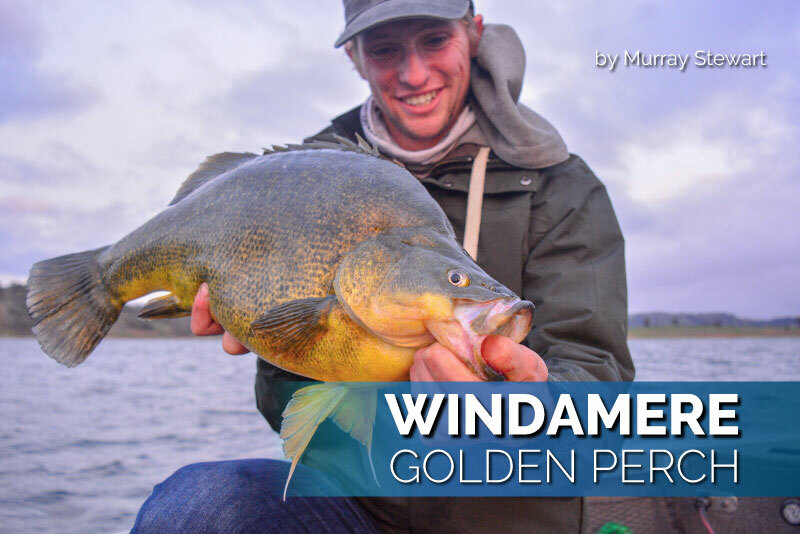 Windamere is a premiere Golden Perch fishery that you need to visit! The warmer months of December, January and February can be a great time to chase local perch population. 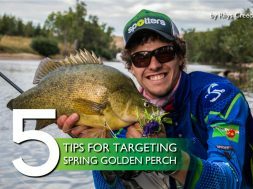 The peak of the ‘golden perch spawn’ is just about over, if it hasn’t already finished and the fish are fired up and will generally show interest in whatever you decide to throw. Quite often the water temp will have a big role to play in the depth the fish are comfortable sitting in. 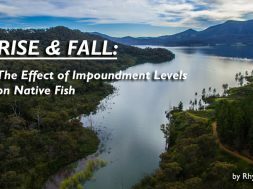 This time of year, the water temps can exceed 25-26 degrees Celsius and this can be a little troublesome in the sense that the majority of fish will generally hold a little deeper in the water column during the heat of the day. Typically they will sit in the 15-25ft mark but over night and in the low light periods of the day they will move in shallower. It’s around these times of day you want to be focusing your time on the water. Small spinnerbaits, Jackall Tn60’s and mask vibes, Ecogear Zx40’s and any small deep divers. Windamere is full of thick green weed which holds masses of food for these fish to feed on. 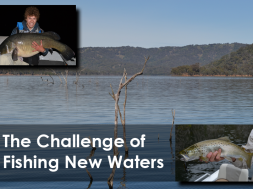 As the water begins to cool off the goldens in Windamere will gradually move into shallower water and will usually be active early on in the season. 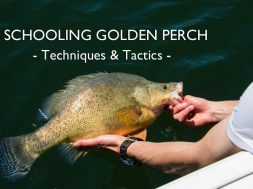 As autumn starts to move on the golden perch will start to feed less aggressively and enticing a bite will take more work and a more finesse approach. Leaders as low as 4-6lb and even up to 12ft in length will come into play more so as you want every little 1% factor in your ball court. 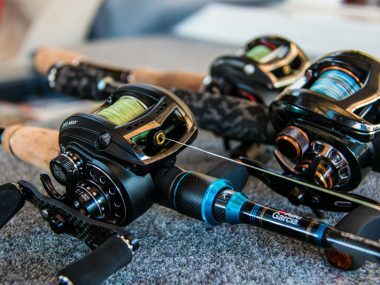 Fishing around this time of year can and will be slow at times so it pays to work your lures slow and steady to produce the results. Making sure an area of water is worked over 2-3 times can be the key to success and has proven so time and time again. 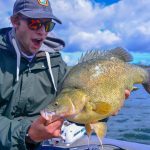 Targeting Golden perch in winter is a touchy subject as not many anglers are willing to put the time and effort in required to be successful. Yes, the fishing can be excruciatingly tough at this time but oh so rewarding when you finally sink the hooks into a cold water golden. My first bit of advice is to pick and choose your days carefully, watch the weather like a hawk! Look for a warming trend in the weather with maybe a string of days slightly warmer than the rest and have it coincide with high barometric pressure or rising barometer. When I talked about fishing your lures slow in autumn it barely scratches the surface of how slow you will need to fish in winter. 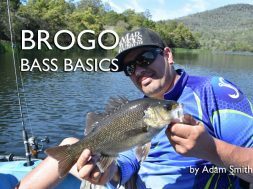 Literally crawling your lures across the bottom or just hopping them back to the boat is essential with long pauses between hops, sometimes as long as 30 seconds. Light leaders are essential as again you want every 1% in your ball court. You can still have success during winter of football sized perch as the author demonstrates. 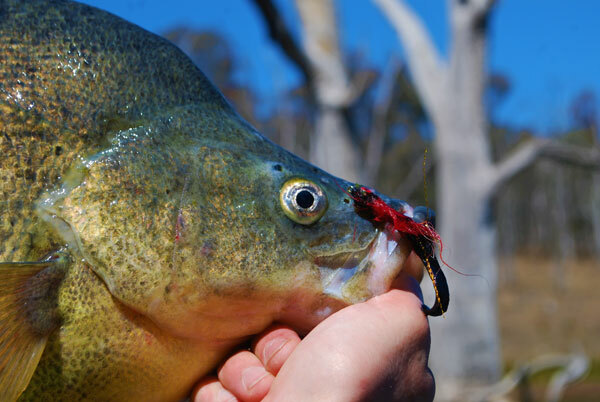 A technique that has proven to be outstanding in fooling winter golden perch not just in Windamere but in most other impoundments as well has been the technique known as “grubbing trees”. This involves using soft plastic grubs and rolling them vertically up a standing tree. You want to fish the plastics as close as possible to the trunk or limbs of the tree. Drop the plastics all the way to the bottom and slowly roll them back up the tree all the way to the rod tip as sometimes the fish will take it at the last second before it leaves the water. 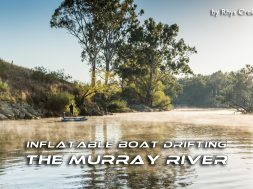 Finally, spring has sprung and the water is clawing its way back up, temperatures start to rise and the fish start to feed more aggressively. Early spring is by far my favourite time to chase Windamere goldens as it means I can crack out the polaroids and the 6wt fly rod and start doing some days on foot. During the mornings more often than not you will find numbers of fish sitting really shallow (6ft or less) in amongst fresh ribbon weed growth, along steep rocky edges and in the crowns of trees. These goldens are generally slow in their movements but are still active as they are sunning themselves and trying to find the first of any type of food source to appear out in the warmth, this includes; shrimp, yabbies and baitfish. Again, early on the fish will be fairly slow until the water hits around 15-17 degrees Celsius but once this temp is reached the fish will be all guns blazing. 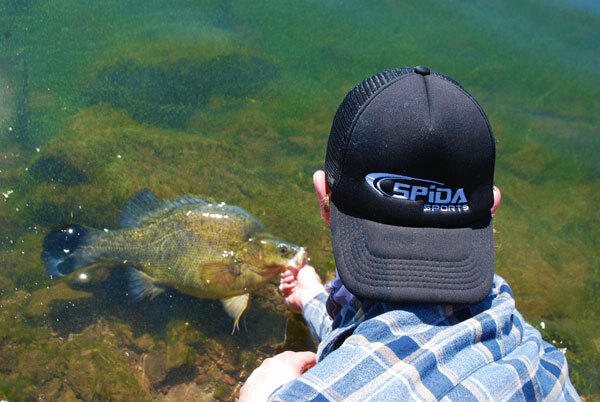 During the peak of the springtime bite it’s not uncommon to be catching upwards of 20 fish a day, even when fishing solo from a boat. To maximise the amount of fish you come across it’s important to target areas rich in food. Areas of broken rock and fresh weed growth are the most likely areas in my books to chase actively feeding fish as these will harbour all of the little crustaceans and baitfish they will be feeding heavily on. 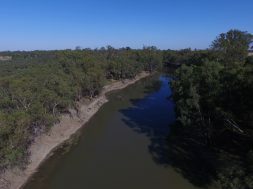 Through my experiences of Windamere it is these particular areas that hold the larger feeding fish, while in amongst the timber it’s more common to cross paths with the smaller, more aggressive males. Spring Golden Perch along the edges is great fun! This one fell victim to a BWC Donny Brasco fly. 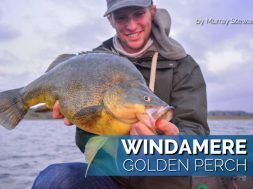 To sum things up, while chasing goldens at Windamere Dam whether you’re just getting started or an experienced angler, you must remember that the fish are still catchable in the ‘off peak’ times such as autumn and winter if you’re willing to put the time and effort in to work them out. 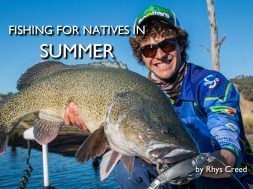 Spring and summer are the ‘on peak’ times and when you will experience your most fishing action, preparation such as making sure all of your knots are up to scratch and lure presentation is on par with what you are trying to imitate can make the biggest difference to a day’s fishing. Tight lines and Screaming drags. 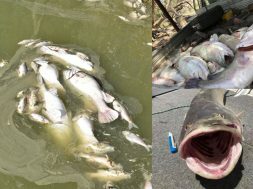 previous Darling River Fish Kill 2019 – What has happened? Murray Stewart Murray Stewart is a born and bred fisho - fishing runs in his blood! 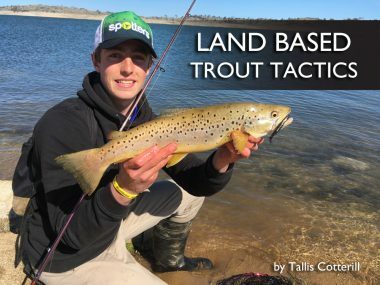 He is based in Central NSW and calls many of the local waterways home, including Windamere where he loves chasing trophy size yellas on spin and even fly! 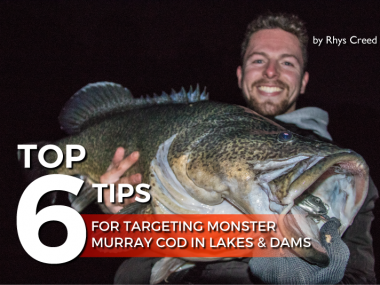 Murray is a passionate angler who want to share his story and help other anglers enjoy fishing as much as he does!